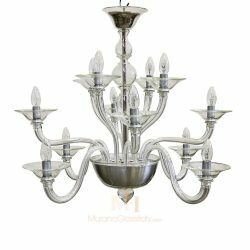 This gorgeous chandelier offers a charming ambience to your space. 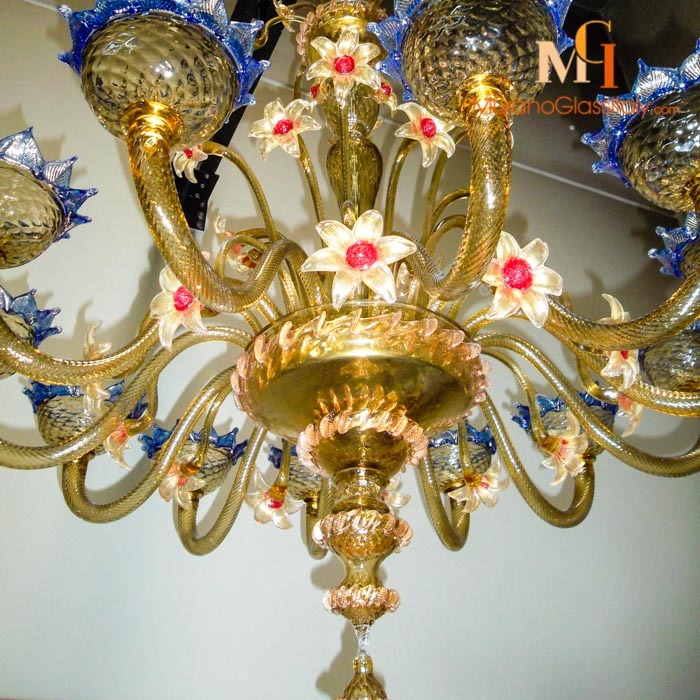 The rose and golden colored frame adorned with handmade light blue details and delicate blossoms are exquisite. 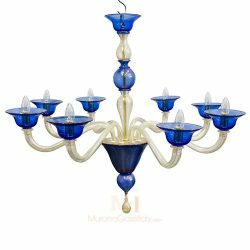 Showcase your exceptional taste with this fabulous dazzling chandelier which gives a touch of soft romance to your property. 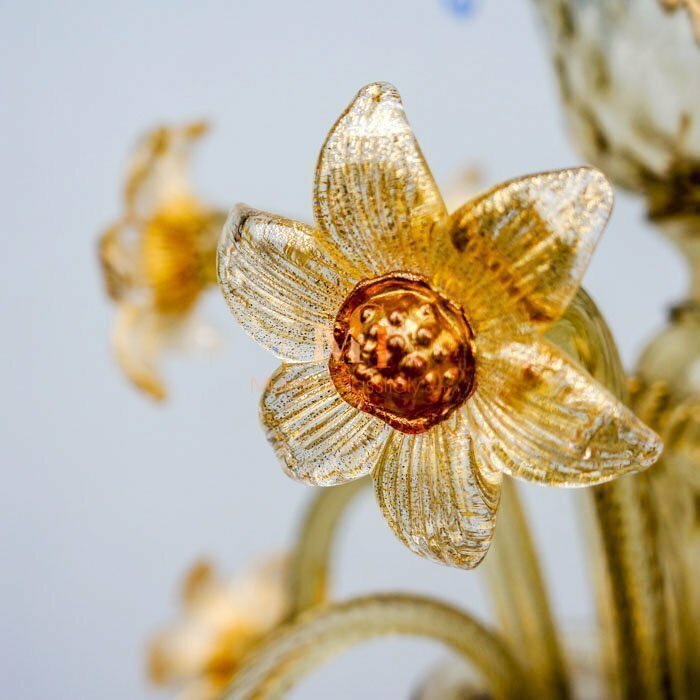 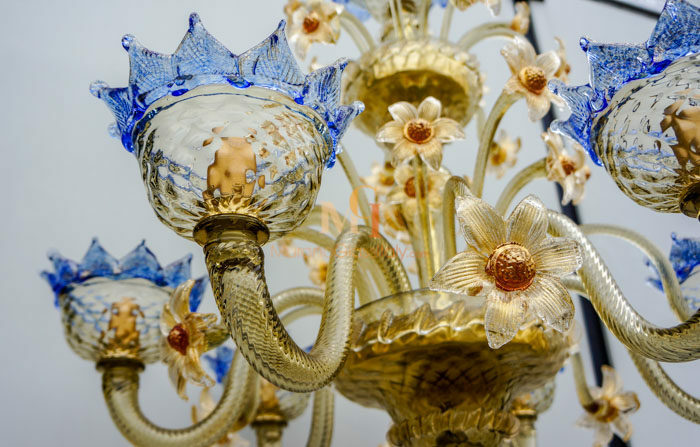 Experience the bespoke luxury that only the expert hands of the Italian glass masters from Venice, Italy, can create. 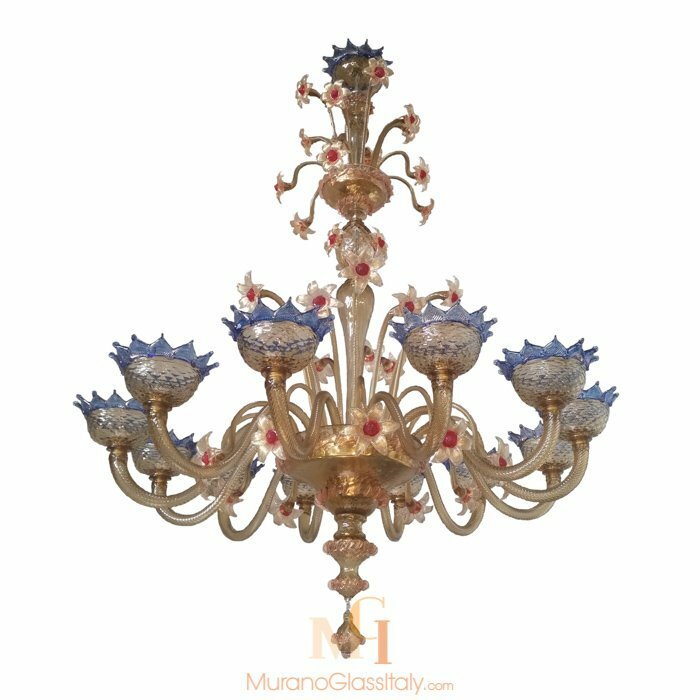 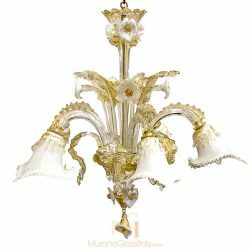 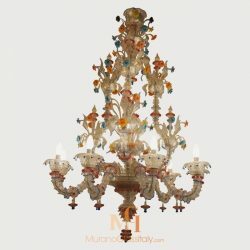 The displayed chandelier is part of the Art Glass Chandeliers Collection can be customized in the number of lights and colors to fit your interior perfectly, for more information contact us at customer@muranoglassitaly.com.